If you’re like me, you may have a million things to do between balancing a working life with your social life. You do not want to show up anywhere empty handed, but you also do not want to bring a package of Oreos to your next get together. I’ve been making these cookies for the past couple of years and they are always a hit. 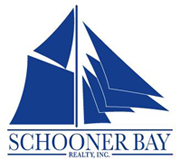 The best part is, they are fairly inexpensive to make and they are not very time consuming. 1. Preheat your oven to 350, or as directed on your cookie mix package. 2. Use the instructions on your cookie mix package to mix everything correctly. 3. 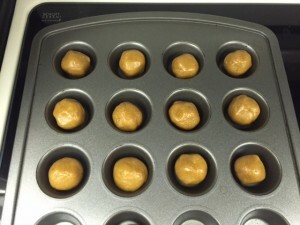 Gently roll the peanut butter cookie mix into little balls and place them, individually, into the mini muffin pan. 5. 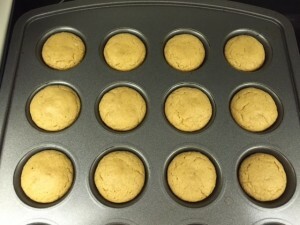 When your timer goes off, remove the mini muffin pan from the oven. Your cookies will look like the photo below. 7. 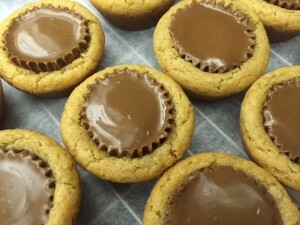 When you have placed the last Reese’s cup in the cookies, take a little baby spoon or something that you prefer to work with and begin gently lifting the cookies out of the pan. This can be hard if you use a regular sized spoon because it can tear the cookie apart and cause the chocolate to run all over the place. Be careful of the Reese’s cup when you are popping the cookies out because it will be quite liquified from being exposed to the heat. You can place the cookies on your cooling wrap on top of the parchment paper to cool. 8. The Reese’s cups can take awhile to firm up again. If you prefer not to wait because you need them quickly, you can place them in the refrigerator to speed up the process. I made two packages of peanut butter cookie mix and it yielded me 75 cookies. All together, it took me an hour to make all of those cookies using one 24-count mini muffin pan. (That of course does not include the time I let them cool for).